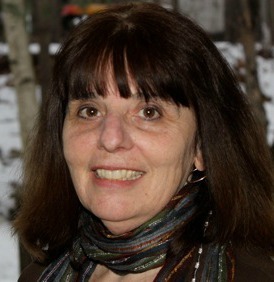 LouAnn has over 35 years of experience in the field of Early Care and Education in Vermont, most recently as Coordinator of Vermont’s STep Ahead Recognition System (STARS). She was the Founding Director of the Robin’s Nest Children’s Center in the Old North End of Burlington, where she worked for 25 years. Throughout her career, and in particular, in her role coordinating Shared Services and Strengthening Families, LouAnn focuses on advocacy, consulting and teaching with a goal toward workforce development for the child care profession. LouAnn is also a member of the Let's Grow Kids Speakers Bureau. From Holidazed to Happy Days! And through all of this, children are expected to be on their best behavior. From a small child’s point of view, this time is often too exciting, busy, exhausting and confusing. Rather than set our children up for behavioral success, we ask more of them than they may be capable of, leading to frustration and bad feelings for both parents and children. 1. Create a simple family tradition that meets a child’s needs developmentally. (For example, young children may have a difficult time sitting through an extended family dinner, so allowing them to excuse themselves from the table when they need to move around helps children enjoy the evening.) Sticking to a simple tradition each year that becomes predictable and familiar to a young child can provide comfort and security. 2. Build in opportunities for rest and relaxation. Making sure children have windows of downtime between holiday commitments allows them to keep calm and recharge. 3. Balance unhealthy snacks with nutritious food options. 4. Allow children to bring favorite items with them when traveling to new environments or meeting new people—such as a favorite toy or blanket—to offer comfort and stability. 5. Try to stick to routines—especially around naptimes and bedtimes. When possible, simplify holiday plans to prevent too much disruption of the child’s usual schedule. The holidays offer an abundance of excitement and stimulation—but for our youngest children, simplicity and predictability are best. Over time, the holiday schedule can become more detailed and complex as kids develop more confidence, stronger social skills and the ability to cope with and adapt to new situations. In the meantime, while your child is young, curl up on the couch, add marshmallows to a cup of hot chocolate and snuggle in. Both you and your child will be better for it!